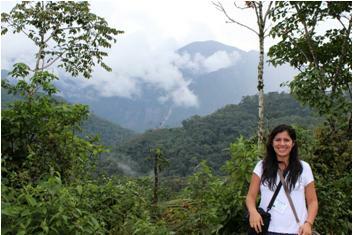 Andrea specializes in Geographic Information Systems and Remote Sensing. For more than 18 years, she has participated in the research and management of natural resources in the Forests of Cusco, Madre de Dios, Ucayali in Peru, Acre, Brazil, and Pando, Bolivia. She is particularly interested in the study of environmental impacts as a result of natural process and humans in tropical regions from a social science and natural science perspective. She has developed research in topics such as forest management, ecotourism, public affairs, land use, international policy development and good forest governance, in special international collaboration of politics and the mechanism called Reduction of the Emission of Deforestation and Degradation (REDD). In addition, she is interested in applied, scientific research that can be made available to society. She has experience working with non-governmental and governmental institutions in Europe, the United States and Latin America. Andrea has a Magister Artium in Political Science from Karl-Ruprechts-Universität Heidelberg, a Master of Arts in Geography from the University of Miami and a PhD in Geography from the University of Florida. She is fluent in German, Spanish, and English. Laura F. Kowler has a background in applied research and practice around tropical conservation and development and natural resource and environmental governance. Her graduate research and professional experience have focused on the interaction among different players involved in decision making around natural resource management and land use planning. She has most recently worked with the Center for International Forestry Research (CIFOR) as the Peru Country Coordinator for the Multilevel Governance and Carbon Management at the Landscape Scale under CIFOR’s Global Comparative Study on REDD+. Laura particularly enjoys facilitating spaces for dialogue with natural resource users and decision-makers around natural resource management and encouraging collaboration for more inclusive and legitimate decision-making processes. In her wok in Peru, she focussed on issues of intersectoral coordination at the sub-national level through organizing and facilitating workshops on developing governance monitoring tools with key regional players involved in land use planning. 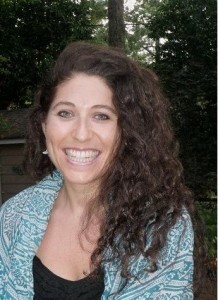 Laura also specializes in project management and the development of research protocols and project implementation. Among other projects, she also recently collaborated with the University of Wageningen and USGS in the development of methods to examine the governance dynamics involved in and potential of local forest monitoring in Peru. 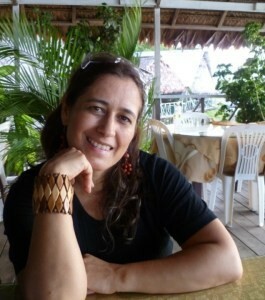 She completed her MSc and Ph.D. in Interdisciplinary Ecology from the University of Florida, where she assumed a valuable leadership role in the Tropical Conservation and Development Program. For her doctoral research, Laura developed a multi-level governance framework to examine the legitimacy of forums in Bolivia in which local natural resource users and civil society actors are engaged in resolving natural resource governance issues emerging at the local level and through policy frameworks at the national level. Roger has extensive consultancy experience in international development and the natural resources management sector. He has an academic background in livelihoods analysis and the socio-economics of local natural resource management. He currently provides evaluation, impact assessment and planning support to natural resource management, food security, water and WASH projects and supports teams to assess livelihoods and institutional performance. Roger has particular expertise in assessing and supporting local management institutions in the context of projects and policies of decentralisation. He has a strong commitment to improving the understanding of local realpolitik and making use of this in project design and implementation. His publications and training materials on local planning and consensus building are currently in use in North Darfur, Kenya and Peru. Forest and environmental sciences professional, at the Universidad Nacional Amazónica de Madre de Dios, with over 5 years experience in the private/NGO and public sectors. Anggela has worked with agricultural and forestry producers’ associations, indigenous communities and others in the Peruvian Amazon together with local and regional governments and universities. She has also worked on ecosystems services, development of public investment projects, climate change mitigation and adaptation projects, monitoring, reporting and verification for REDD+ projects, Geographic Information Systems, restoration of areas degraded by mining, governance and environmental institutions. Profesional de la ciencia forestal y ambiental de la Universidad Nacional Amazónica de Madre de Dios. A lo largo de sus 05 años de experiencia laboral adquirida en el sector privado/ONGs y público, en las que ha trabajado con asociaciones de productores agrícolas, forestales, comunidades indígenas, otros en la amazonia peruana, en coordinación con Gobiernos Regionales , Locales y Universidades. Experiencia en temas como servicios ecosistémicos, gestión de proyectos de inversión pública, mitigación y adaptación al cambio climático, monitoreo-reporte y verificación para REDD+, sistemas de información geográfica, restauración de áreas degradadas por minería, gobernanza e institucionalidad ambiental. Roosa was a founder member of SEED, now working independently. She is a research biologist with an international reputation in ecology and environmental management. She has led a number of large ecological research projects in Finland, Germany and the UK. For the last six years she has lectured and led a research group at the University of Oxford. Roosa is an innovative and adaptable researcher with strong communication and analytical skills. She has interests in evidence-based conservation, human impact on the environment, and sustainable use of natural resources. Her work has contributed to our understanding of how the anthropogenic environmental change affects biological systems. She has broad research skills including advanced statistical analysis, ecological modelling, systematic review and meta-analysis. 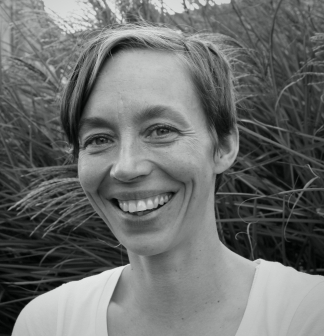 Roosa has a PhD in Ecology and an MSc in Ecology and Environmental Science from the University of Turku. She is fluent in Finnish and Swedish. SEED is a consultancy providing rigorous syntheses and analyses to promote evidence based solutions for policy and practice that empower local people and balance conservation and development objectives.